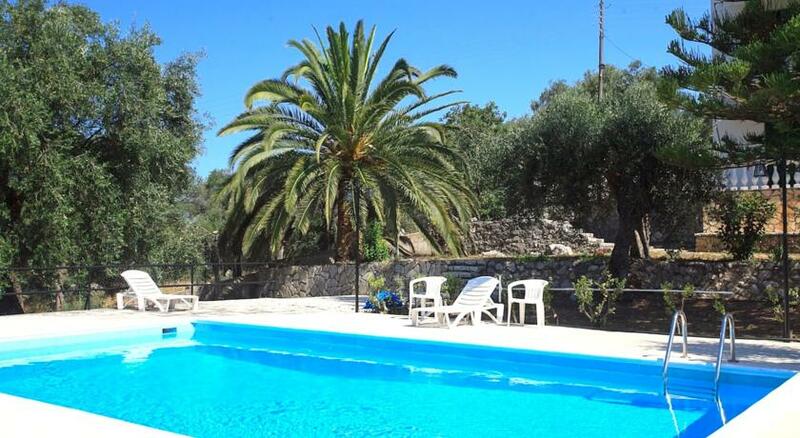 Apt.-house Frangis is situated on the way to Agios Spyridon (700 m.) 900 m. from the village of Perithia. It is on an enclosed estate and it has 3 houses. The first (oldest one) has 4 apts. For four people with pool view from the balconies. 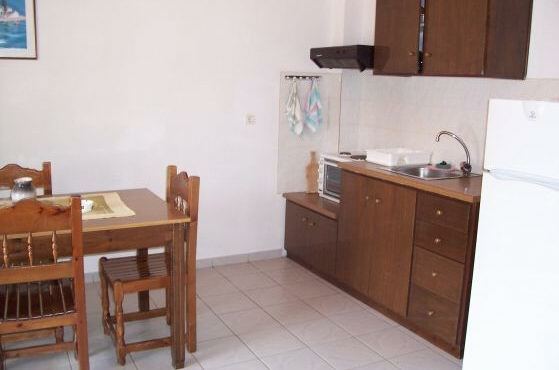 Each apt has 2 bedrooms, I fully equipped kitchen with dining place and a bathroom with shower, toilet and water basin. Each has a separate entrance. The second (new one) has 2 apts. one with 2 bedrooms, bathroom with shower, toilet, water basin and a very big fully equipped kitchen with dinning place and the possibility for another two beds. 2 separate big balconies has the flat also. 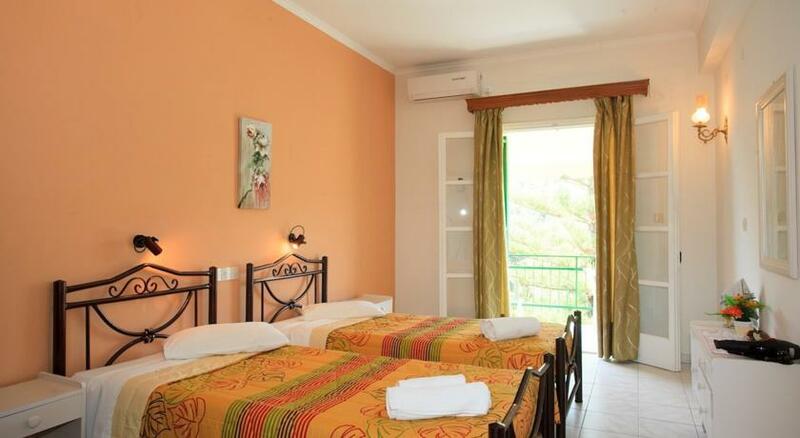 There is also another flat with one separate bedroom, the other bedroom has only a sliding door to the fully equipped kitchen with dinning-place and a bathroom with shower, toilet and water basin. 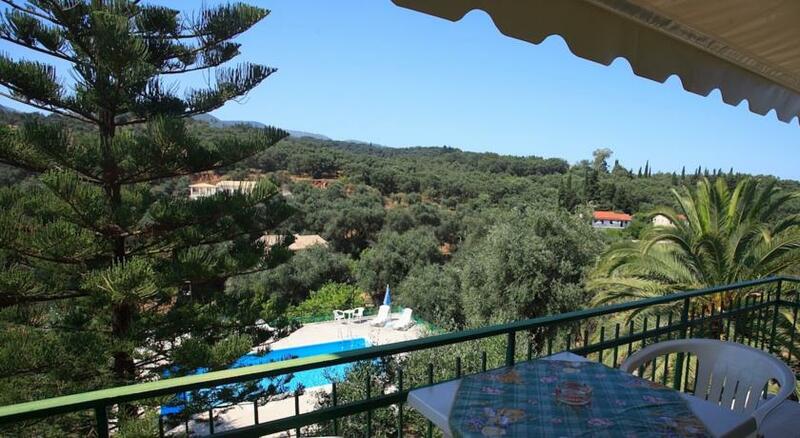 This flat also has a balcony with a nice view inside the garden and the olive trees. Also in this house you will find a CAFETERIA, where it is possible to get snacks and the breakfast, if you will book it also. In this house live also the owner from all. 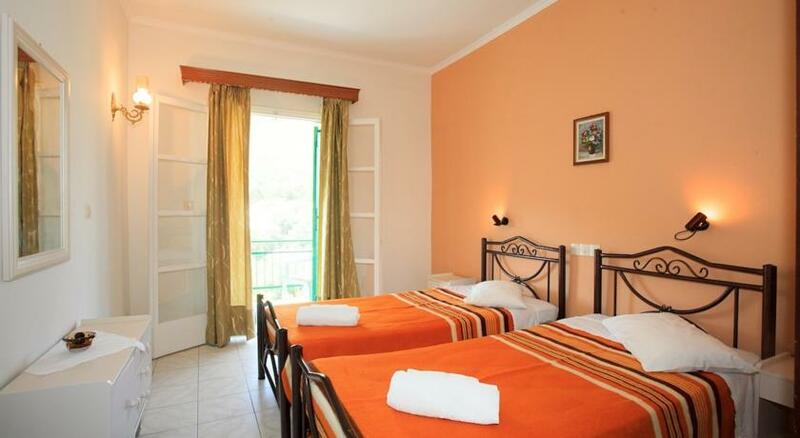 Downstairs of this house you will find 4 studios with I bedroom, a small separate fully equipped kitchen and a bathroom with shower, toilet and water basin. The entrance for this studios is from the veranda. 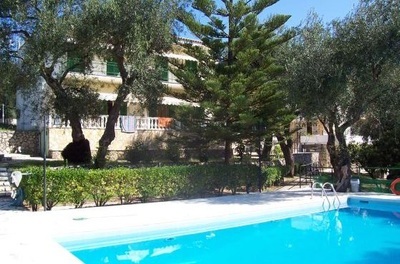 The third is the pool-building and under the pool you will find another 2 one-room-studios with fully equipped kitchen, bathroom with shower, toilet and water basin. 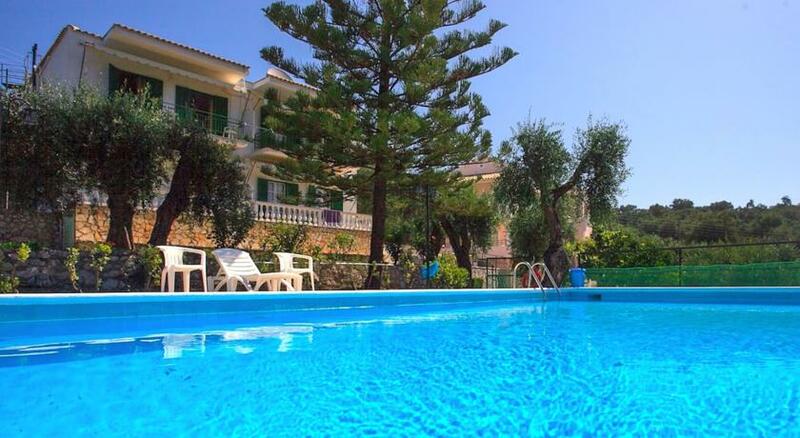 The owner from these houses would like to give his guest and restfully holidays. Distance from shops 200 m./900 m. Tavernas 700 m. /900 m.